As you may noticed fall is in the air.The air is crisp and the leaves are falling. Actually, do you know what else is falling? Apples!! It’s probably something you remember doing as a child – going to an orchard and picking your own apples! As a kid I would eat apples like candy. 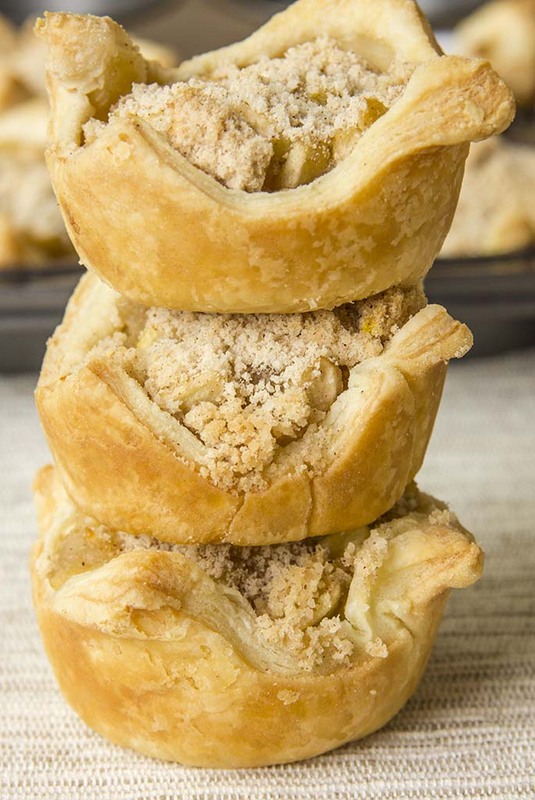 Now as an adult I like them too, but prefer them in a dish, like a dessert….like individual apple pie….like apple pie bites. 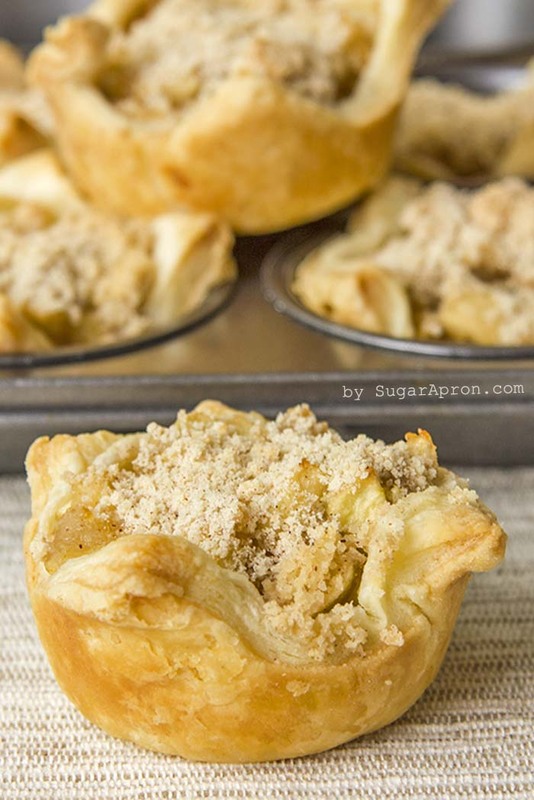 These bites taste exactly like apple pie but the compact size is perfect for either on-the-go or if you are watching your portions. Also, they are great if you have little ones. Flaky, buttery and warm. Oh did I mention how easy they are to make too? And my kitchen smelled great all day…. apples and cinnamon.